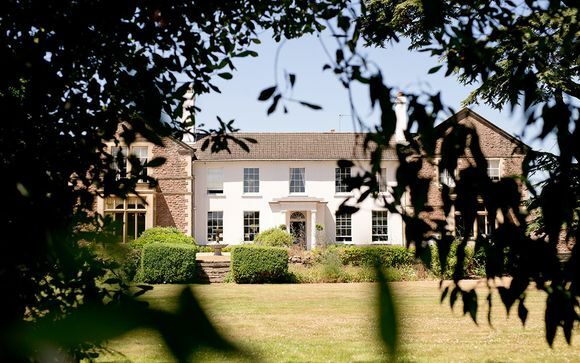 Glewstone Court 4* is a charming Grade II listed hotel, featuring 9 individually styled bedrooms, an award-winning restaurant and a pretty courtyard. This Georgian country manor house is set in 2 acres of lush grounds with stunning views over the Herefordshire countryside. Our members benefit from a Comfortable King Room stay, with a nightly 3-course dinner! 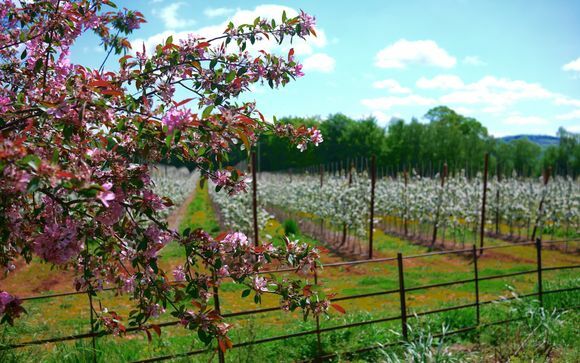 Dozing in the midst of apple orchards and rolling pastures at the heart of the Marches, and straddling the River Wye, Hereford is best known for prime steaks, cider and the Pretenders. After Welsh marauders torched the original Saxon cathedral, the Norman rulers of Hereford erected a larger, grander cathedral on the same site, which was subsequently remodelled in a succession of medieval architectural styles. The signature highlight is the magnificent Mappa Mundi, a single piece of calfskin vellum intricately painted with some rather fantastical assumptions about the layout of the globe in around 1290. The same wing contains the world's largest surviving chained library of rare manuscripts manacled to the shelves. Displays at this brewery and museum cover cider-making history. Here, you can sample the delicious modern brews. Look for the fine costrels (mini barrels) used by agricultural workers to carry their wages, which were partially paid in cider. The Wye Valley Area of Outstanding Natural Beauty is an internationally important protected landscape straddling the border between England and Wales. It is one of the most dramatic and scenic landscape areas in southern Britain. Glewstone Court 4* is a charming, Grade II listed Country Manor House set in 2 acres of beautiful grounds with stunning views of the Herefordshire Countryside. 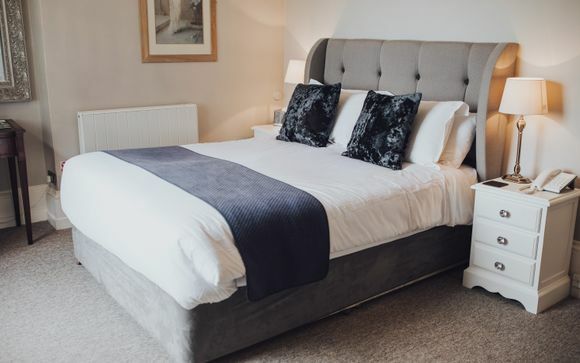 A hidden gem within easy reach of Hereford and Gloucester City centre, and only a short distance from the nearby market towns of Ross-on-Wye, Ledbury and Abergavenny and the picturesque Wye Valley and Forest of Dean. Glewstone Court 4*, with its unique Georgian and Regency features, is steeped in history and today a family run country house hotel providing both accommodation and casual and fine dining in its two AA Rosette restaurant which uses local produce wherever possible. The Homewood family recognise that the attraction of this charming Country House Hotel and Restaurant lies not only in its location and splendour, but in making guests feel truly ‘at home’ with a warm, friendly welcome, character-filled comfortable lounges, open fires, individually styled bedrooms, a relaxing Mediterranean Garden and breath-taking views. This offer is based on a stay in a Comfortable King Room. Each unique King Room is spacious, bright and airy - the ideal comfortable retreat for your countryside break. Your cosy King Room provides all the amenities you could possibly need for a fantastic stay. Indulge in a delicious breakfast each morning, serving fresh coffee or tea and hand-cut toast with a selection of condiments. Enjoy freshly squeezed orange juice, homemade granola, fresh fruit, thick yoghurt and early morning baked croissants and pastries. 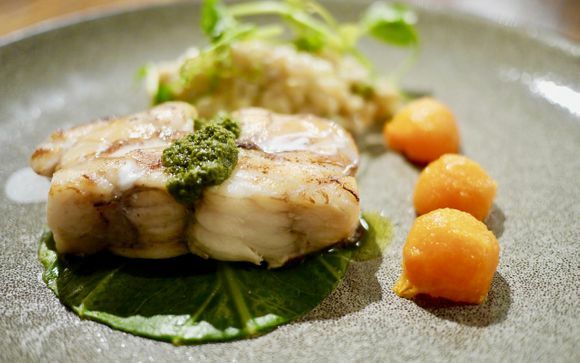 Tuck into the a la carte menu, where all food is locally sourced by nearby farmers known to the hotel. The address of your property: Glewstone, Ross-on-Wye HR9 6AW. Distance from Hereford Train Station to the Glewstone Court 4*: 24 km / 28 minutes. Distance from Gloucester Train Station to the Glewstone Court 4*: 33.3 km / 38 minutes. Please Note: There is ample parking at the front of the hotel; assistance with luggage can be requested on arrival and is offered as a matter of course on departure. Guests can travel directly from London Paddington to Gloucester Train Station. Our price doesn’t include any additional taxes, which may be payable locally.